Finally, we are using SD card. In Ethernet Shield use Pin 4 as SD_CS. If we just leave everything as it is, we are not going to be able to use them. 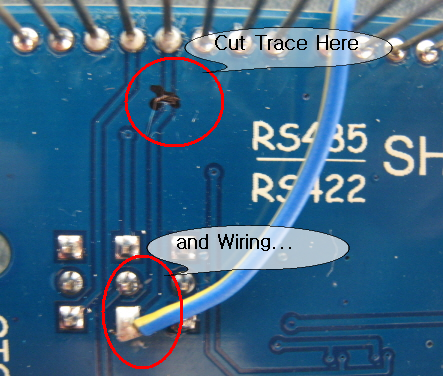 I'm going to cut RS-485 Shield. 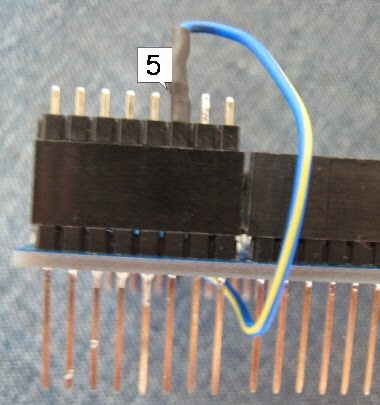 In all previous codes I used Pin 4 as TX, and because I don't want to fix all the codes I soldered a wire onto the pin. So now I can move TX to Pin 4 or Pin 5 depending on what I need.